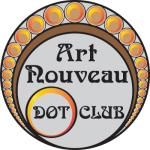 Who was Alphonse Mucha (1860-1939)? 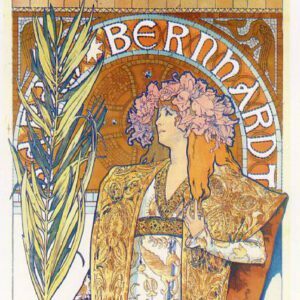 During his life Alphonse Mucha was an interior designer and decorator, graphic designer, illustrator and painter, both from poster and paintings. Born in Moravia (Czech Republic, then part of the Austro-Hungarian Empire), he was the son of a bailiff. His father wanted to make him his successor, but his love for drawing since childhood was be stronger and guided him during all his life. In 1875, at the end of his studies in high school, Mucha applied for entry to the Academy of Fine Arts in Prague. His request was rejected with the following recommendation: “Choose another profession where you will be more useful”. Four years later he returned to Vienna, where he was engaged by the city’s largest theater design company, Kautsky-Brioché-Burghardt, and became as a specialist theater designer. In 1881, after a fire destroyed the house for which he worked, he tried to live as a portrait painter and was immediately noticed by Count Karl Khuen Belasi, the lord of the castle Hrusovany Emmahof, who charged him to carry out murals in his castle. Because of his great job, the count helped Alphonse to join the Academy of Arts in Prague. In 1887 Mucha left for Paris where he enrolled at the Académie Julian, then at the Academy Colarossi. He earned money in the City of Light by using his art. His qualities however made him popular in the Parisian environment. He went to the United States from 1906 to 1910. He taught there, notably at the Art Institute of Chicago. A rich industrialist met in this city, Charles Crane, allows him later to return to Bohemia and settle permanently in Prague. Continuing to work on large canvases, he does small jobs after the First World War for the young Czechoslovakia (stamps, banknotes, etc.) for which he accepts no remuneration. Alphonse Mucha died in Prague in 1939 from pneumonia a few days after being interrogated by the Gestapo. 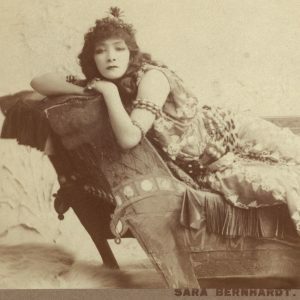 The first works in Paris as an illustrator and the breakthrough in his artistic career, following the overnight success of Gismonda (1894), Mucha’s first poster for the French actress and international superstar, Sarah Bernhardt. Mucha’s friendship and professional collaboration with the great actress led him to fame in the Parisian art world. The commercial opulence of Belle Époque Paris provided turn-of-the-century artists with great opportunities to design advertising posters. Parisian hoardings became ‘street galleries’, and posters became a central feature of contemporary visual culture. 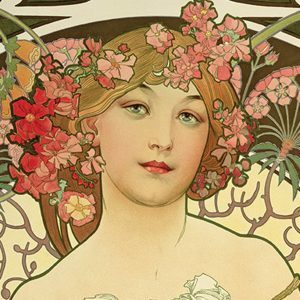 With his distinctive graphic style, coined ‘Le Style Mucha’ by Parisians, Mucha became one of the most prominent poster artists during the late 1890s. Heralding modern advertising art, Mucha developed his graphic style as a visual language to reach out to the wider public. Mucha’s artistic fame grew in parallel with the development of the Art Nouveau movement at the turn of the 20th century, and his name became synonymous with the new trend of visual art spreading internationally at the time. Reflecting his prominent standing in the international art world, Mucha was involved in a wide range of exhibitions and projects at the Paris World Exposition of 1900. In 1904, when Mucha travelled to the United States for the first time, his visit made newspaper headlines. Described as “the World’s Greatest Decorative Artist” by the New York Daily News, Mucha became a celebrity artist. Like many European artists and intellectuals in the late 19th century, Mucha was drawn to Spiritualism. and was also close to a theosophical circle in Paris, and in 1898 he joined the Paris Lodge of Freemasons. 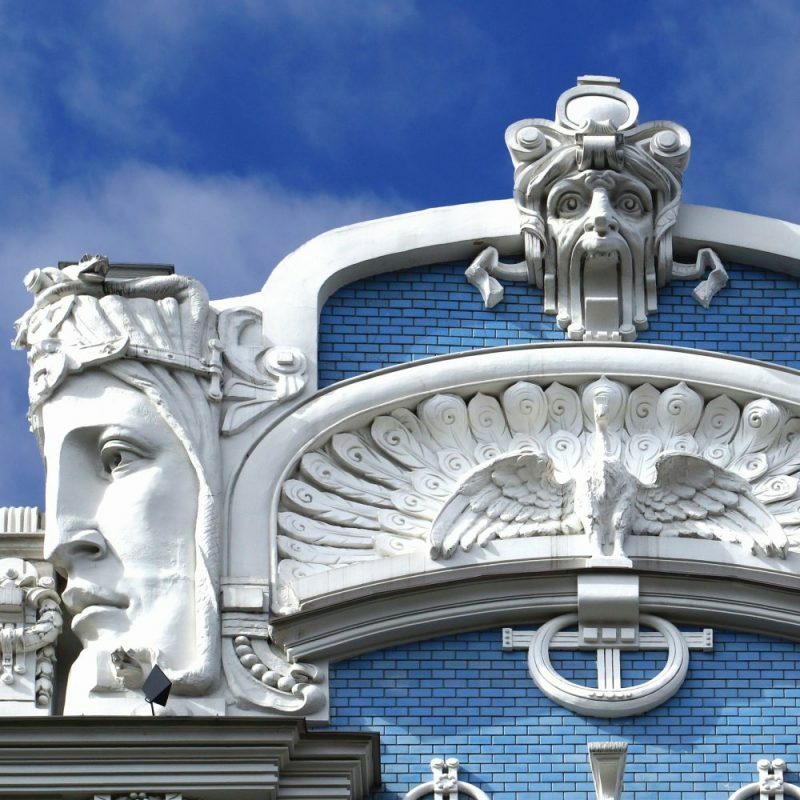 Mucha continued his masonry practice, and after returning to his homeland, Mucha became Grand Master of the Czech Freemasons in 1923. After a successful career in Paris and the United States, Mucha finally returned to his homeland in 1910. Ever since his departure from Ivančice 30 years ago, Mucha’s life had been driven by a vision to work for his homeland using his art. Over the last 10 years in Paris, in particular, Mucha had been making preparations for his ambitious project, the Slav Epic, which would consist of 20 enormous canvases (the largest measuring approximately 6 by 8 meters). Depicting the history of the Slavonic civilization, Mucha hoped to unite spiritually his fellow Slavs, and inspire them to work together for their common goal – the political independence of Slavonic nations. In 1918 Mucha’s dream came true: as a result of the First World War, Mucha’s new country, Czechoslovakia, was born. Mucha’s vision for Slavonic unity was now expanded to humanity, and he continued to explore this theme for the rest of his life. In the last years of his life, when the threat of another war was approaching Europe, Mucha launched a new project, a triptych (1936-38), which was interrupted by Mucha’s death in 1939, the surviving studies convey Mucha’s Utopian message to us today: the balanced use of three human attributes – Reason, Wisdom and Love – would enable mankind to achieve progress and peace. We organise a full day private tour in Prague that will help you understand the path of Mucha in the Czech capital CLICK HERE for more information about this private tour. Also in Prague we offer a shorter private tour, where you will see some hidden gems related to Mucha: CLICK HERE for detailed information on that tour. 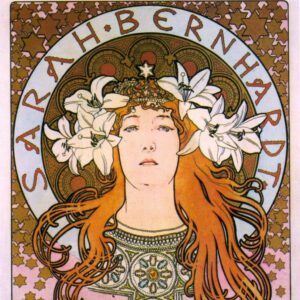 As Paris was the city where Mucha spent a very important part of his working life, we organise a private tour there, with a focus on Mucha’s muse Sarah Bernhardt: CLICK HERE for more.